Auckland Mobile Mechanics technicians have combined over 50 years of Car Repair Auckland wide services experience, mobile car repair that comes to your door at your location. They are dedicated and committed to customer satisfaction. We care about our customers experience and proudly service and repair ALL makes and models including Japanese and European cars. 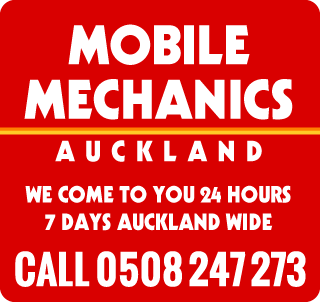 Auckland Mobile Mechanics will come you at a time and place that suits you for all mechanical and electrical service.